Only three carss were built, at great expense, and these were numbered 114-001, 002 & 003 (one of these was replaced after being destroyed by a fire on track during '96, with the 'roasted' shell now being a "wall-hanger"). 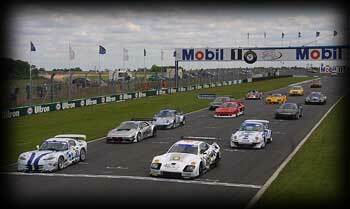 These works cars were very fast and competitive in GT1, but failed to make a major impact due to niggling reliability problems. 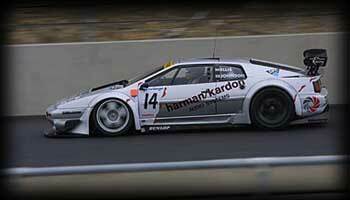 Mike Haines Racing have successfully overcome these reliability problems. 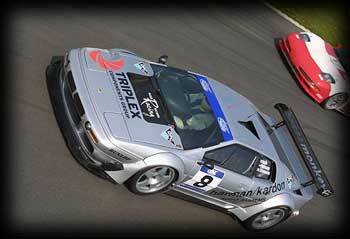 After conversion to GT2 spec. (i.e. 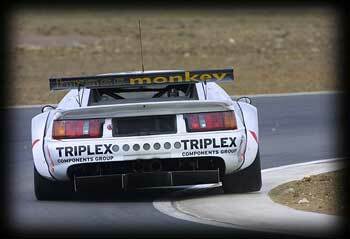 ballast, narrower tyres and smaller air restrictors) and followed by a very comprehensive development program, car 001 was campaigned with much success in GT2 races, both in the UK and Europe during 2000 and 2001. Car 002 was very heavily damaged at Oulton Park some years ago, most of the salavageable parts were sold by the person responsible for the demise of Car 003. The few remaining parts are not thought to be viable as a rebuild project. Car 003 was sadly destroyed by arson whilst it was inside a car dealers showroom some years ago. 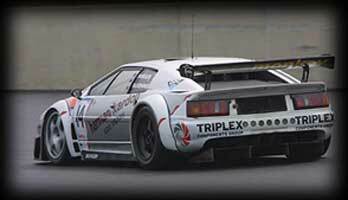 Mike Haines Racing now offers the worlds only totally unique Lotus Esprit V8 GT2 Race Car. Formally GT1 (chassis 114-001) factory car from 1996, raced in BPR by Jan Lammers, Perry McCarthy, Chris Goodwin & Andy Wallace. 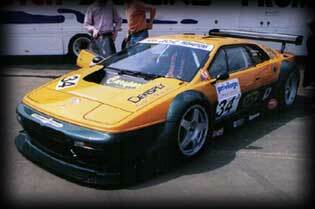 A proven Race winner, Pole sitter and fastest lap setting car. Spec: Carbon composite bodyshell with bonded-in cage, car dry weight 1000kgs, 575 BHP 3.5 litre Quad-Cam, Twin Turbo, Chargecooled V8, 6 Speed Hewland 'TGT' Sequential Transerse Transmission, New 2002 specification Extinguishers, Motec Engine Management and Data Logging, Penske Triple Adjustable Lightweight Dampers, AP Six-Pot brakes all round, AP Air Jacks, New ATL Fuel Cells, Etc. This is now arguably the best non-factory GT2 fully sorted Car available anywhere. There is also a very comprehensive spares package available, to include: all original factory chassis jigs, spare body panels, 24 Wheels & tyres, a spare TGT transmission, a spare race engine, engine block, brakes, drive shafts, and lots, lots more. Etc., (will fill a 7,500 kgs truck). Two car Articulated Transporter, with 'L' Reg. MAN 320 Tractor Unit, comprehensive spec. with Belly Lockers, Wired for Mains Electric, Fridge, Tail-lift, Bull Awning, Etc. Single car Leyland Turbo Rigid Transporter, very high spec, with workbench, Wired for Mains Electric and Air, compressor, Fridge, Belly Lockers, Tail-lift, Tectonics Awning, Etc. All the equipment needed to run a GT Team (i.e. fuel dump churns, vent bottles, air bottles, air trolley, regulators, air-jack lances, HP Compressor, wheel trolleys, laptop & PC computers, Etc. 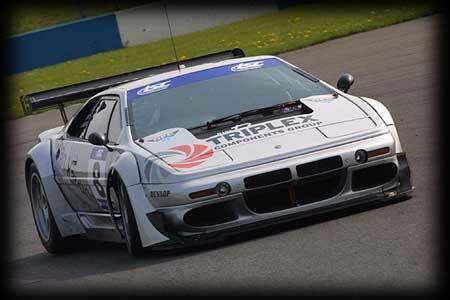 Many of the images of the Mike Haines Racing Esprit are re-used with the kind permission of David Lord Photography.